Weight training is about building lean muscle and boosting strength with minimal equipment and easy exercises. A zeal to pump iron and a little advice can help you go a long way. However popular it might be, there’s still a clan of buddies, who are absolutely at sea about what weight training is, how it can benefit them, and from where they can get the best dumbbells and barbells in the market at great prices. So, here’s a guide to everything you had ever wanted to know about weight training. Let’s start! First of all, here’s a list of benefits of weight training. Check it out. Weight training speeds up your metabolism, and thus, aids in weight loss. Since your metabolism is doubled, the liver turns fats into energy and promotes fat burning. Weight training keeps osteoporosis in check by maintaining bone density. So, not only does it strengthen muscles, but improves bone persistence as well. Weight training helps gain strength without bulking. You can have a fab body and great muscle without converting into a bulkier bear. Women don’t want to do weight lifting because they’re afraid of turning bigger and bulkier. That’s a grave misconception. Weight training fuels up connective tissue and joints, and prevents you from injuries and pain due to osteoarthritis. Weight training improves your posture by strengthening your back, shoulders and core. It also works by reducing back pain. Regular exercising and superb fitness surcharge the flow of endorphins in the body. This enhances your mood, fights off depression and controls anxiety. Moreover, the increased endorphins help you focus better, support agility and enhance your energy big time. 1) Goblet Squat: Hold a dumbbell with both hands, fronting your chest, start a squat, and move it up / down towards your chest. It’s an ideal exercise for hip and thoracic mobility. 2) Farmer’s Walk: Hold a dumbbell in each of your hands and walk for a distance, as fast as you can. It’s an incredibly beneficial exercise to your grip and arm strength. 3) Bent Over Row: Bend down and keep your chest tight in a way that your back stays straight. Lift a dumbbell now and pull it up/down. This strengthens your core (upper-body) muscles to get you the much envied ‘V’ body shape. 4) One Arm Swing: Squat and drive up a dumbbell through your legs to bring it to your head as you stand straight. Repeat in the sets of 15-15. It targets your grip strength, lower back muscles, quadriceps and shoulders. 5) Bench Press: Lie on a leg press equipment, plant your feet on the floor, and hold a dumbbell in each of your hands. Now, pull up and down. This takes you to closer to your chest goals and some quality pecs. 1) Bench Press: It’s similar to what you do in a Bench Press with dumbbells, but here with the barbells. Raise the bar above your chest and take it down in a way that you bend your elbows and lower the weight to your chest. Repeat. It gives your results in chest, triceps, and shoulder areas. 2) Deadlift: Spread your feet to stand shoulder-width apart and lift the bar so that your hips are positioned forward and your back straight. This exercise targets your whole body. 3) Back Squat: Sink into a squat, as if you’re about to sit on a chair - your hips forward and your back aligned straight. Carry a barbell on your back, just above your rear shoulder muscles, and lift yourself up / down. Come down until your hip is below your crease. And while moving up, put all your weight on the heels. This is a great exercise to strengthen quads, glutes, and hamstrings. 1) Kettlebell Swing: Stand up straight, shoulder-width apart, and hold a kettlebell with both hands, palms facing down. Swing the kettlebell from the front of your chest to legs, as you bend your knees slightly and drive the hips forward. Swing it up again and come back to straight. It’s a fantastic exercise to work on your shoulders, back, hips, glutes, and core. 2) Two-Arm Kettlebell Row: Bend in a way that your back is straight and your knees are folded slightly. Hold the kettlebells in both hands and move them up/down towards your stomach while keeping the elbows close to your body. It renders strength to arms, shoulders and back region. 3) Kettlebell Goblet Squat: All goblet squats are same. Hold a Kettlebell with both hands, fronting your chest, do a squat and move it up / down towards your chest. It works great for your legs, back, and glutes. 4) Kettlebell Lunge Press: Stand straight as you hold a kettlebell in your both hands with palms facing each other and arms bending. Lunge forward with a single leg and raise the kettlebell overhead with the opposite hand. For instance, if you’re lunging forward with right leg, hold the kettlebell in the left and lift overhead. Then, stand up straight again. These are the best and most common dumbbell, barbell and kettlebell exercise to try out for both starters and experienced exercisers alike. 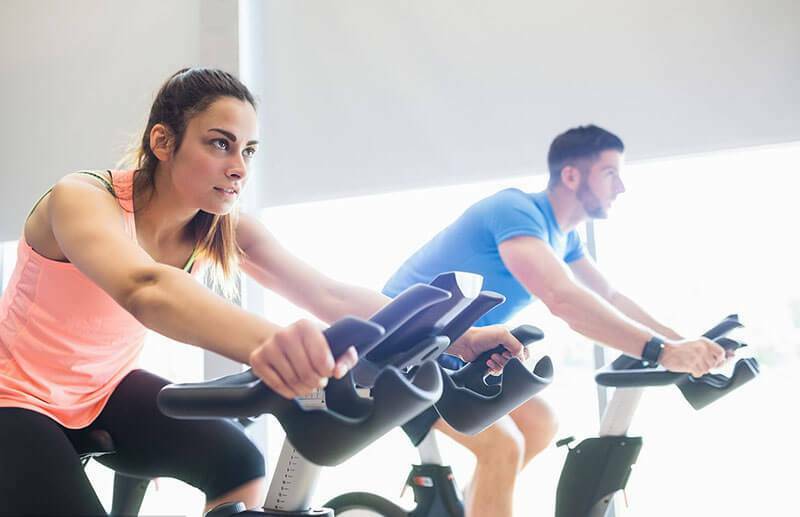 Now, from here, we’re moving to the important exercising and gyming rules you need to know. Keep reading. Right, you’ve the gym instructor to help you come to the task and guide you through it. He can give you the instructions you need, but there are certain things you’ve to focus on your own. Below, we’ve given you a rundown on the hyphenated rules you must know before lifting weights at a gym. This also includes the basic mannerisms of sharing a public gym with fellow exercisers. Carry a towel to wipe your sweats off. Always. A water bottle is an essential as well to keep yourself refreshed respectively. Know the gym lingo, so as to beat the odds while in the weight room. We’ve covered a few if you’re new to lifting. Do sets alternatively with someone on a given piece of equipment. Do different exercises back to back without a moment of resting in between. To separate from a particular muscle group. The position of a muscle that’s stimulated during a particular exercise. A routine (strength program) during which you work on some muscle groups on some days and the remaining groups on some other. An increase in the muscle size. Don’t take over the entire weight training area. Leave space for others to lift their arms in all directions. Remember, one needs to put a lot of muscle and move while lifting weights. Don’t hog the equipment all the time and share it with others during your rest time. Let someone else do a set if you wish to rest for a while. Don’t seize the mirror. Be courteous enough and allow others to catch a view of themselves while doing sets. Dumbbells, if not secured right, might roll onto somebody else’s toes and make him/her trip. Either cross them or make them stand in an upright position. Clear off the space once you’re done with the weights. Put them on their specified racks. Don’t carry the gym bag around. And, don’t drop your gear on the floor either. Keep it in the cupboards. Safety is paramount. Sit with your trainer, learn about how to go about weight training and know about precautions you must take, so as to avoid muscle strain and injuries. Do weights that promote your body goals and help you carve out the body you dream of. Select a custom-made program that complements your needs, which can be toning, endurance, bulking up, or slimming down. What’s funny about myths is - no matter how much you try to debunk them, they only propagate. There are a few ones around the idea of weight training as well. Read on and see what. People have an impression that they need to slog out in a gym to reach desirable body standards. False. You can buy weights and exercise at home too. For heaven’s sake, understand that weight training is gender-neutral. Nowadays, you can see a number of women lifting weights like a pro and building lean body muscle. It’s just about exercising, folks. Cardio, for sure, helps you burn loads of calories. But, weight training ain’t no less. In fact, the latter is better, as it not only supports the breakdown of excess fats but also adds lean muscle. Another bogus theory is that the muscle turns into fat once you quit weight training. Absolutely not, because muscle and fat are totally different. Lifting heavy weight is bad for joints. Now, whose thought can it be? Starting weight training and moving gradually from light to heavy weights is actually great for your joints and help them build resistance. Rome wasn’t built in a night. And, a bulkier YOU will not happen overnight. Keep patience, practice weight religiously, and don’t quit until you achieve. Persistence is the key. Looking for weights and other fitness equipment in China? Look no further than Ntai Fitness. 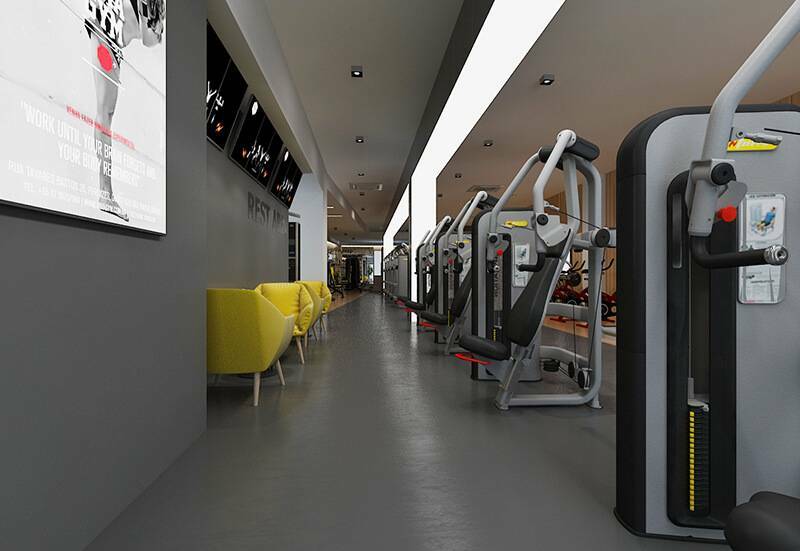 Ntai Fitness is a topmost choice for sturdy and customized fitness equipment in China and boasts a successful work collaboration with hundreds of fitness agencies, clubs and gyms across China. It’s a brand of repute with a firm commitment to premium quality and unmatched service. 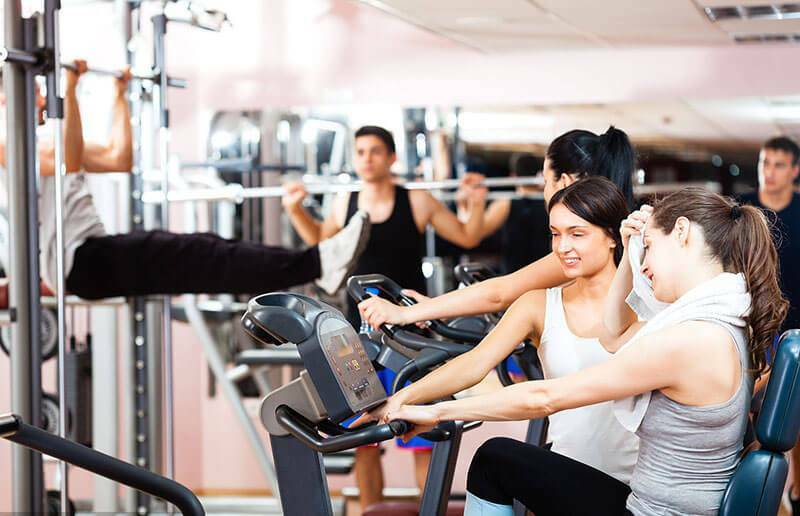 Whether you’re looking to build a fitness center from scratch or just want to add a few fitness machines, treadmills, and weight equipment to one, Ntai Fitness has all resources under its hood to get your requirements complete and sorted. Our range of products includes Commercial Fitness Equipment, Home Aerobic Fitness Equipment, Bodybuilding Machine, Commercial Cardio Fitness Equipment and Gym Equipment. Also, we’ve a long-abiding expertise in customizing types of fitness equipment just the way you’d like to. Our repertoire of fitness equipment is a hallmark of quality, durability, and longevity. They are entirely created with a purpose of bringing you loads of comfort and ease of operation. Every fitness equipment matches up to the most accurate dimensions and industry protocols, which are determined by an elaborate research and analysis. We only have a few technicians and health experts on board with us to help you deliver the most competitive services at just the price you like. Ntai Fitness is the best China fitness equipment factory. To avail our services, call our customer service agent today.